As much as I love Portland, I don’t think I can take another winter here. There are so many wonderful things about the Rose City: fantastic music scene, awesome coffee and terrific libraries, a real love of books, fabulous food, and year-round green. The public transportation system, TriMet, rocks, which is important to me, since I don’t drive. I love living in a place where books and coffee and parks are valued, where there’s art on nearly every corner. And there is so much green! It’s the green that is killing me. Well, not the green itself, but the reason for it. All this damp chilly weather is wreaking havoc on this fibromyalgia-riddled body. Let me explain:for those of you who don’t know, fibromyalgia is a chronic pain disorder related, some think, to nerves. Medical science doesn’t really know what causes it, or how to fix it; they don’t even have an accurate diagnosis for it. Let’s just say, if you have it, you probably know it. In my case, one of my older sisters and my younger sister were diagnosed before I was; when I continued to have body aches and pains that there was no reason for, we put it together. My younger sister gets pains more often in her hips and legs; mine are usually in my neck, shoulders and arms, radiating into my back. Occasionally I’d have pains in my wrists, or ankles; this was most likely because I’d broken all of them at some point (my right wrist twice, the left once), and not so much because of the fibromyalgia. My doctor has posited that I may also have early osteoarthritis, because this pain happens in joints that have prior injuries and gets worse in wet and cold weather. The cold and wet weather also causes what are known as “fibro flares” where the pain of fibromyalgia in a certain area is severe and intense. These can last for days to weeks, in some cases longer. For some people the pain in manageable and they are able to go about a fairly normal lfie; for others, even the touch of clothing on their skin is too much to bear, movement causes excruciating pain. I’ve been lucky for the most part and have fallen somewhere in the middle of this scale. When I’m having a “normal” day, I have a few aches, mostly upon rising, in my ankles and wrists; lifting things heavier than a half-gallon of milk is nearly impossible. This makes grocery shopping or trips to the library difficult. This is one of the reasons I have read so many e-books in the last 2 years; I can easily hold my tablet in one hand, even in bed, something I cannot even think of with a hardback library book, or even a trade paperback these days! When I’m having a flare, forget lifting that half-gallon of milk; if I want milk in my coffee, I have to get someone else to pour it (into the smaller cup than usual, since that’s all I can lift), or pour from a creamer someone else has filled for me. The muscles in my ankles hurt all day, sometimes causing falls, and my neck aches. I tend to clench my teeth when I’m in pain, so by the middle of the day I’ve usually given myself a headache, which doesn’t help. To take the edge off, I take ibuprofen, but too much causes its own problems, not the least of which is a nasty upset stomach. During this latest flare, I’ve had pain all up and down both legs, so bad that it has been difficult to walk. My left hand has hurt nonstop, and there is pain in the center of my back that feels like someone is scraping their nails up and down my spine. Every time it rains, something else starts hurting. I love Portland, but I don’t know if I can take this any more. One of the few things that actually helps with the pain of fibromyalgia (there is no cure) is heat. My older sister is living in Arizona now, and feeling much better. The month I spent in Toronto with Michele, while way too humid for me, was totally pain free. All of this is just to say if my disability hearing goes well next month (or even if it doesn’t, probably), I am seriously thinking I need to pack up and move back to New Mexico. They have coffee, books, food, and my friends, and best of all, heat. I’d miss my family, but I would not miss being in pain. 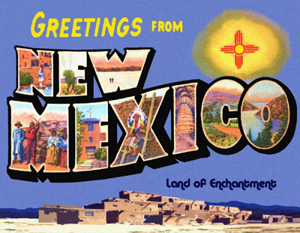 So many things I miss about New Mexico…the sun isn’t even at the top of the list!